We hope you will take a few minutes to learn about our firm and our areas of practice. Know that the attorney you hire for your divorce, marital separation, custody, or support case understands your situation, knows the law, and will fight for you, both in and out of Court. 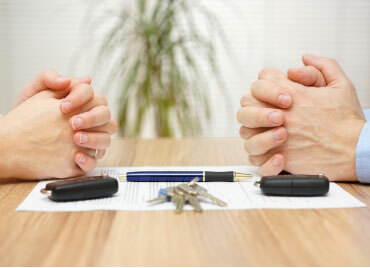 When you hire an attorney to help you with your divorce, marital separation, child custody, visitation, child support, or spousal support case, you need to know a few things. Will this lawyer fight for me if I need them to? Does my lawyer understand my situation and know the law that governs my case? Can this lawyer help me achieve my goals? Does my lawyer have the experience to handle my case? The attorneys at Rinehart, Butler, Hodge, Moss & Bryant, P.L.C. are a dedicated, tenacious group of experienced trial attorneys whose only goal is to achieve the best possible results for their clients. When you come to us with your family law issues – whether divorce, marital separation, child custody, visitation, support, or domestic violence – our first order of business is to understand your case. Our next goal is to help you understand your legal rights and the laws that affect your case. Finally, we work with you to develop and implement and approach that will move you toward your goals in the most efficient, inexpensive, and legally effective manner possible. Don’t trust your finances…your future…your family…to guesswork. Put an experienced, committed family law advocate in your corner. The law office of Rinehart, Butler, Hodge, Moss & Bryant, P.L.C. is located adjacent to the Stafford County Courthouse, and serves clients in the surrounding Virginia counties of Spotsylvania, Prince William, King George, Caroline and Orange, and also in the City of Fredericksburg,. Our Family Law practice handles a range of practice areas. Learn more here.